I am starting to read reports some Women's Tennis Association (WTA) umpires are contemplating boycotting matches in which Serena Williams is an opponent. Well, interesting, eh? My perspective on the US Open meltdown has been expressed in various social media forums; not here to a major extent. One reason for my lack of interest in posting about the Serena Williams "meltdown" based on calls from Umpire Ramos relates to the fact Ms. Willaims's coach was offering hand gesture coaching: Illegal and against the rules. We do not know if Ms. Williams saw or reacted to the gestures. Yet, the coach was wrong, despite the prospect other coaches have coded coaching techniques. Granted and understood. Next item; Serena Williams losing a point based on slamming a racket. While I am far less a professional tennis follower than some of my firmed, I have never seen a point deduction for a one-time racket smash. I have certainly read about fines post-match, but point takeaways....haven't seen that action. A question about the point reduction should ensue. Has Ramos ever taken-away a point from an opponent in a match at which he sat in the umpire's chair? More specifically, has he taken away a point form slamming a racket I don't know the answer, but I suspect his ability to exercise such umpiring power has seen limited use. 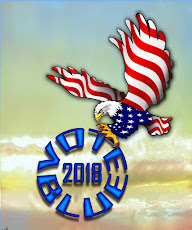 The total meltdown and the "ugly" were the results of stuff which took place minutes earlier, so I am going to avoid that as a factor for now. The bottom line, for me, is the business of mashing the racket and coaching as an impetus to a meltdown and ugly scene. do I blame Ms. Williams for the meltdown: no I do not. Let' take a look at a meltdown which took place days or weeks prior to the Williams/Ramos meltdown. While Ramos was not the umpire for the following match, I wonder if the umpire in the match is one of those who has indicated considering boycotting Serena Williams matches. I most definitely work to avoid Putin's Newspaper station ob my webpage, but I used it, in this case, as an outlet which showed the full meltdown of the French Tennis pro. Now for the Williams racket slam and the meltdown. Alas, there is another reason for this webpage post. 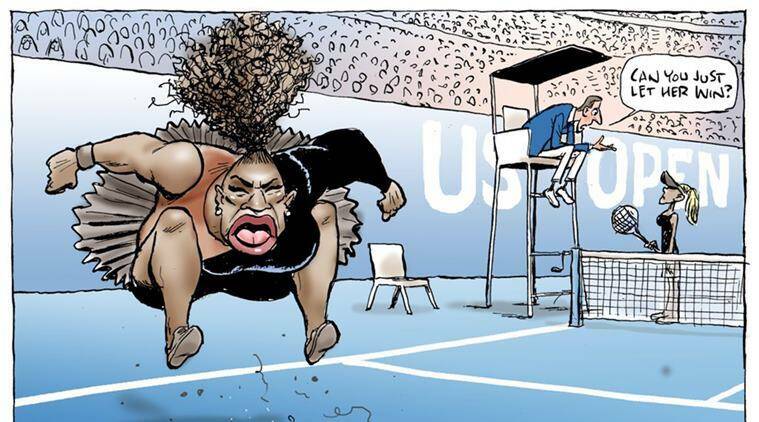 No matter the intent of the cartoonist, his or her perception of an angry and melting-down Serena Williams looks very much as if influenced by stereotypes of African-Americans. Oh, you might think I have stepped out of bounds with the last sentence If you did not view the original cartoon, here it is in all of its splendor (and yes, racism). I do believe the blond hair of the opponent is a bit of a stretch and somewhat subliminal.